THERE WAS AN 8% increase in the number of complaints received by the Ombudsman for Children’s Office (OCO) last year, according to the annual report for 2015. The office dealt with 1,639 complaints made by, or on behalf of children, across every sector. Education was the subject of the largest amount of complaints (45%), with the majority specifically related to schools. 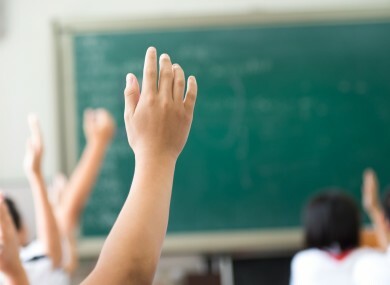 The Ombudsman for Children, Dr Niall Muldoon, said, “It is my view that the autonomy afforded to Irish schools means that the Government has not been able to exercise the necessary responsibility and oversight. It is time to recalibrate the balance between the autonomy of schools and the oversight by Government to advance and protect children’s rights within the education system. In dealing with these complaints we experienced repeated and significant delays by TUSLA, the Child and Family Agency. The health sector was the subject of 14% of complaints, up from 11% in 2014. Complaints were made about waiting lists for services including hospital procedures, mental health services, speech and language therapy, and psychology. Many parents also highlighted the challenges of obtaining services for their children, especially children with disabilities. I can’t believe the struggle mammy needed to go to just to get the services I needed put in place. The Ombudsman for Children said, “Children’s rights in Ireland is an unfinished project. Email “Most complaints made to children's watchdog are about schools”. Feedback on “Most complaints made to children's watchdog are about schools”.